In Mulkanundracooracooratarraninna, making connections can be a somewhat challenging business. It is the case too in Cannuwaukaninna and Killalpaninna, Mungarannie and Mirra Mitta, Dulkaninna, Pandie Pandie and Oorooawillanie. Their names are colorful, for sure, but it’s an unfortunate fact that such places do not lend themselves to that thing that, here in Saunderstown, we like to celebrate, that thing for which our blog is named. Yet one man managed. That man rose to the challenge. He was called Tom Kruse, not quite a literal namesake of the Hollywood favorite, but a star nonetheless. This Tom Kruse’s talent wasn’t acting, this Tom Kruse’s talent was connecting. This Tom Kruse gained renown as The Birdsville Mailman, but to all those he served he was so much more. 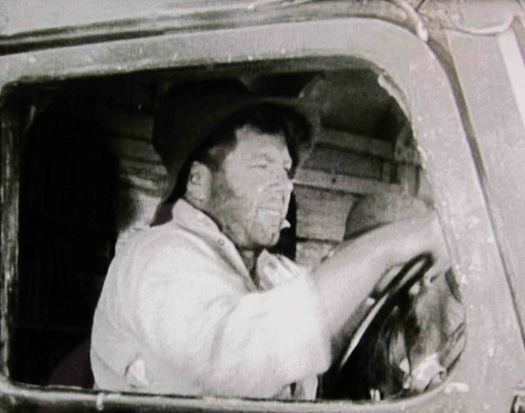 Tom’s remarkable route was rather different to that of a regular mailman, for Tom delivered mail, medicine, fuel and supplies to the Outback stations scattered along the fabled Birdsville Track in Australia. Fabled because the Birdsville Track snakes through some of the most remote communities on the planet, stretching 517km through thirsty, sun-baked lands, from Marree, in northern South Australia, to Birdsville, in south-western Queensland. Having made his maiden mail run as an unassuming 21-year-old, Tom’s deliveries continued over three decades, from the 1930s to the 1960s, his service providing a lifeline for people unaccustomed to direct human contact. It is difficult to make connections, to form close relationships, in an in environment in which your nearest neighbor might be several hours distant. He might have been a mailman, but Tom brought much more than letters to the people he served, touching lives each time he stopped his truck. “Living up here nowadays you’re isolated, but back then it was only the radio and that was if anyone was living within a few hundred kilometers,” explained Kim Fort, a former publican in Birdsville and a good friend of Tom’s. Here in Saunderstown, we’ve enjoyed learning about a man whose quest has touched our hearts just as he touched all the lives of those living the loneliest of existences out there in the Outback. So much did we like this passage – taken from the website www.southaustralianhistory.com.au – that we’ve quoted it in full. Tom’s 1000km-round route took two weeks from start to finish and forced him to overcome countless obstacles that might have stopped a lesser man in his tracks. Yet demonstrating determination and dedication remarkable in its depth, the highly-popular postie continued his connective quest, outliving his iconic 1936 Leyland Badger Truck, abandoned following one mail run too many, near Birdsville in 1957, these days a museum favourite Down Under, restored to former glories, the legend living on. Tom died, aged 96, earlier this summer, but not before making one final connection, with us here in Rhode Island, making our OMs, our work much different, the end product the same. The OMs are about people and their stories, that is what inspires us, and Tom’s tale is a perfect example. It is our hope that it inspires you too. Connections come in all shapes and sizes. This blog is our tribute to a man who took it to the extreme. From Mulkanundracooracooratarraninna to Saunderstown, the legend endures. New York, his 13th and Final State!